Heat oven to 500°F. Line 15x10x1-inch pan with foil; spray foil with cooking spray. In resealable 1-gallon food-storage plastic bag, mix all ingredients except shrimp and lime. Add shrimp; seal bag and shake to coat with sugar mixture. 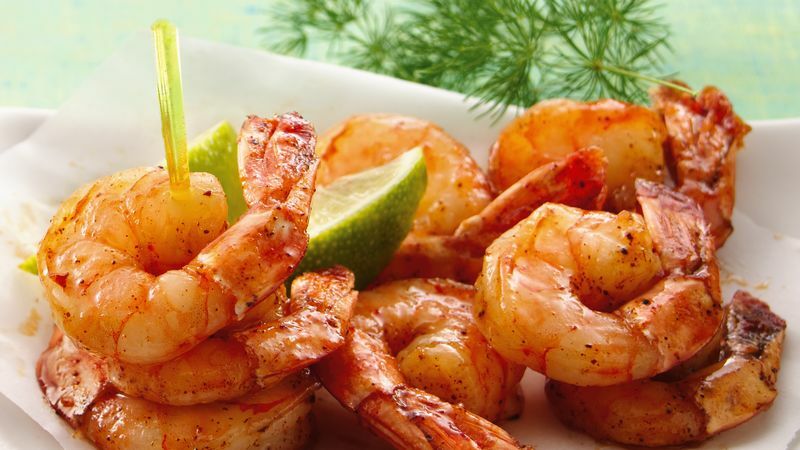 Arrange shrimp with sugar mixture in single layer in pan. Bake 7 to 9 minutes or until sugar is caramelized. Remove from oven. Using pancake turner, turn shrimp; squeeze juice from lime over shrimp. Place on serving platter; serve immediately. To keep your guests from getting sticky fingers, serve these shrimp with toothpicks. Kosher salt has larger grains than ordinary table salt and contains no additives.